To provide compassionate care while serving others with integrity and aloha is the mission of All Care Hawaii. 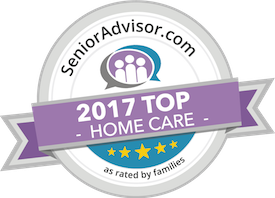 Founded in the Hawaiian Islands, All Care Hawaii is a locally owned and operated Home Care Agency. It was the humbling experience of helping an elderly parent with dementia, which ultimately led to starting “All Care Hawaii”. The experience associated with all aspects of “the system” (i.e. hospitals, nursing homes, rehab, Medicare, and etc. ), combined with all the challenges of daily care, led Roger and Jermie Chadwick to decide they could combine their skills to do Home Care in a better way. This husband and wife team wanted to make a difference in all aspects of Home Care in Hawaii, hence they named their new venture “All Care Hawaii”. The Chadwick family’s reputation for exceptional personalized care grew and All Care Hawaii quickly became the premier Home Care Agency on the island of Maui. The company expanded by opening an office in Honolulu, and is dedicated to serving both the islands of Oahu and Maui. All Care Hawaii’s continued success hinges on practicing Aloha with a commitment to each individual client, as well as a commitment to each Caregiver. Combining those commitments with their expertise, and utilizing hands-on compassionate care, as well as providing responsive customer service, has proven to be the formula for their success.